Take a setting sun even on a cloudy and darkening day which is grudgingly coming to an end. Add some layers of clouds meandering about their short-lived hours of existence, as a bird flies by to nest for the night. 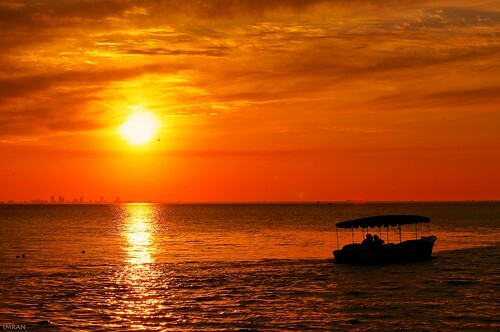 Mix in a boat with sunset worshippers caught in silhouette, as I watch from my blessed home, and you get another stunning magical moment, another memory, another blessing to lower my head in gratitude for, as I mutter my eternal thanks to God.